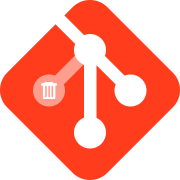 In this tutorial we suppose, that “master” – is a default branch, where everything is merged(for someone it could be “develop”, or “release” branch), and “origin” – it’s a name of remote. If you use different names, just change them in appropriate commands. and Git automatically prunes all stale references. This list should be reviewed more thoroughly to avoid losing important commits. After the last Github update, Branches page is divided into “Your branches”, “Active branches” and “Stale branches”, and it shows same information as previous commands. In the same vein you can create git aliases for all snippets from this article.That’s it, folks. Now, it’s time to clean-up all stale stuff!